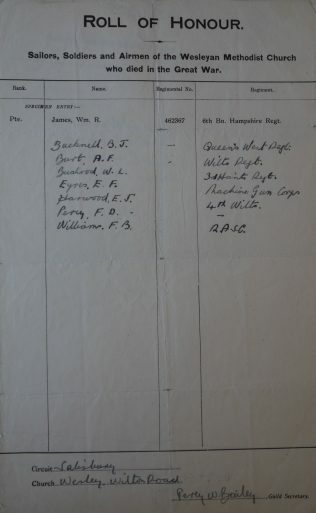 Wesley Chapel, Wilton Road, Salisbury provided seven names for the Roll of Honour. Written ten years after the war there may have been some minor errors of detail. F.B. 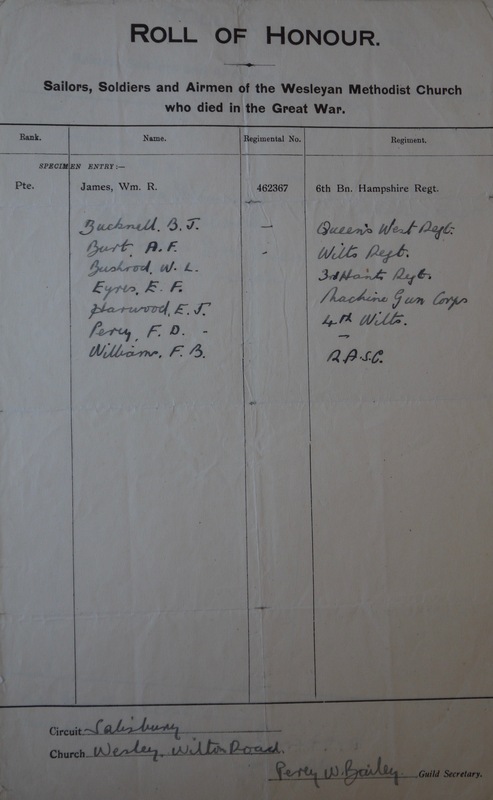 Williams is remembered on the Salisbury war memorial, but no individual casualty recorded by the Commonwealth War Graves Commission can be definitively linked.